The city of Lethbridge has come a long way since its origins as a frontier town. Far from log cabins and unpaved roads, the properties around the area have become very sophisticated. When thinking about the marvels around your property that make life easier, your eavestrough is probably not at the top of the list. If it’s been a while since your drainage system was given proper attention, let our Gorillas fix that! 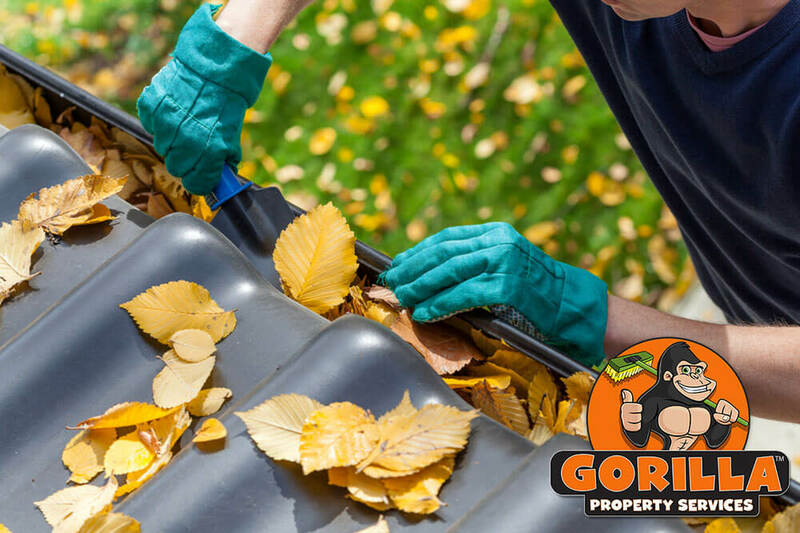 Our Lethbridge gutter cleaning leaves your system clean, clear and flushed. It is easy to forget about the gutters lining your roof until when they become full. Organic debris slides, blows and falls into these pipes that make up this system. Dirt, dust and even needles create a foundation later that holds on to lighter fall-off. Full gutters mean that rain water and snow melt cannot pass through pipes and away from your roof. This water builds up, dampening material inside and sitting against structural materials. Once materials are softened, they can be worn down, leading to leaks, costly repairs and even added weight that can pull the gutter system away from the structure. By following through with routine maintenance, you can save yourself the headache of repairs while keeping your system flowing freely. There is more than the obvious issues at work when your eavestrough is clogged, so avoid all of them with our Lethbridge gutter cleaning service. There is no one who cares more about getting your eavestrough clean than our Gorillas. That is because we are members of your community. Each of our Gorilla technicians are local to your area and that ensures not only timely service, but pride in our work as well. By combining a bit of muscle, high-power vacuums and dedication, our Gorillas bring the best out of your Lethbridge eavestrough cleaning. In order to make sure that your system is running smoothly, all drains and gutters are tested for water flow.